Students at Early College high school know the importance of being prepared for any situation that may arise. 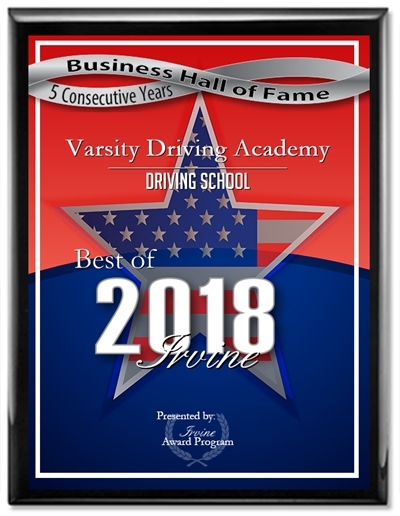 At Varsity Driving Academy, we know the importance of the same idea and that’s why we’re rated as a #1 driving school in Southern California. We teach the basics of driving along with a defensive driving method. Feel free to browse around our site and get a little feel for what we can do for you. Below you’ll find some descriptions of a few of our main services. Even further below are a few important links. Welcome to Varsity Driving Academy Early College High School Driver’s Ed! We also want to take as much stress out of the entire process as possible and one way we do that is by offering a free pick-up and drop-off service for training sessions. Students at Early College high school are very busy students and we want to disrupt their schedule as little as possible. By learning online, students can learn when they have time and not follow another’s schedule. Our online course fully represents the same lessons as they would in the classroom, but with a flexibility that moves with each student. All you needs is to sign up for your preferred package, create a username and password, and then get started. You can log in and log out as you see fit, getting a little further through the course each time. When you finish, it’s time to move onto the next mile. 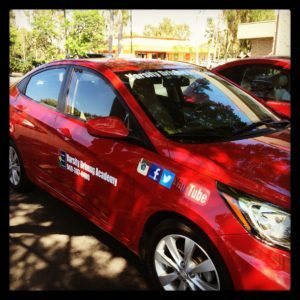 Passing your permit test allows you to move onto the most important stretch of road throughout the learning process. Behind the wheel training is when we get to take everything we’ve taught you and move it into reality. Practicing the skills and molding each habit to ensure you have the power to remain as safe as possible when on the road. We utilize this time to provide one on one time with a trainer so students can feel confident enough to make a mistake, ask a question and progress in a safe way. Our goal is to make safe, defensive driving second nature in every last one of our students. Our first behind the wheel training session will validate the driving permit received by the student. Options are the key to success and provide students with a custom experience based on their individual needs. One of the most popular packages is our DMV Package. With the DMV Package, students get service beyond compare with VDA. So much so that we like to call it our concierge service. With this package, we take even more stress away from the student and handle appointment setting and the DMV for them. Even further, we will pick-up students before their final test, take them to the DMV and hand them the keys to our car to take the test. Feel free to contact us and ask any question you may have at (949)-387-4400. We maintain safety throughout every aspect of our business, from the classes and curriculum to the cars we practice in with each student. Our vehicles are regularly inspected, well maintained, trustworthy vehicles.